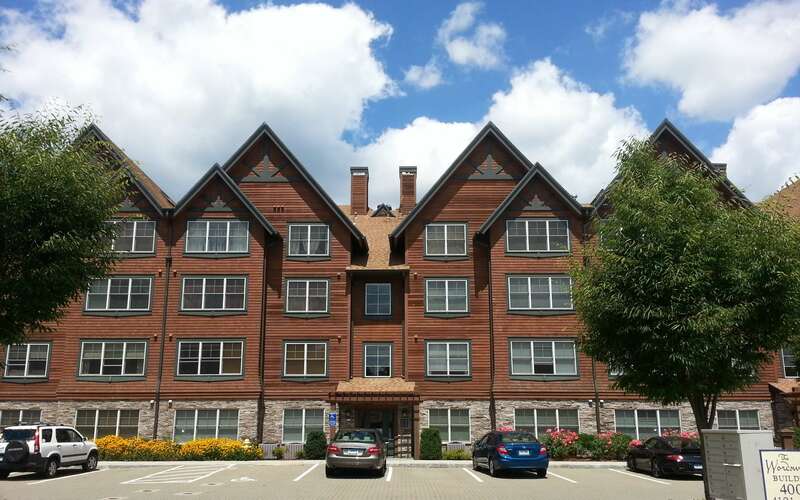 Poet’s Landing is located on Candlewood Lake, the largest lake in Connecticut, in Danbury, CT. With two bedrooms and two and one half bath units, these 82 units have 1,500 to 1,700 square feet. Built in 2006, these units are new and bright. The living room has easy to maintain hardwood floors, large windows, and moldings. The dining room also has hardwood floors and sliders to a deck or balcony that overlook the beautiful lake. Kitchens at Poet’s Landing have top of the line appliances and plenty of counter space. Master suites come with walk-in closets and vaulted ceilings. The second bedroom, with hardwood floors, also has a walk-in closet. Homes are warmed with clean gas heat and cooled by central air conditioning. There is also a garage available with extra storage space. There is a marina, park, pool, and playground right in front of your home. Poet’s Landing is also close to downtown Danbury, with the Danbury Fair Mall offering you department stores and specialty shops. Route 84, a major east/west freeway, is a short drive away, with access to New York City and Hartford.